Commander of 38 BRTF, Col KP Rajendra said this year due to less snowfall Rohtang Pass, situated at 13,050 feet is expected to be opened later this month. Rohtang Pass, the gateway to tribal Lahaul valley, is likely to be opened later this month. An official said snow clearing operations have started on the Manali-Leh National Highway from Beas Nallah, 32 km from Manali, today. 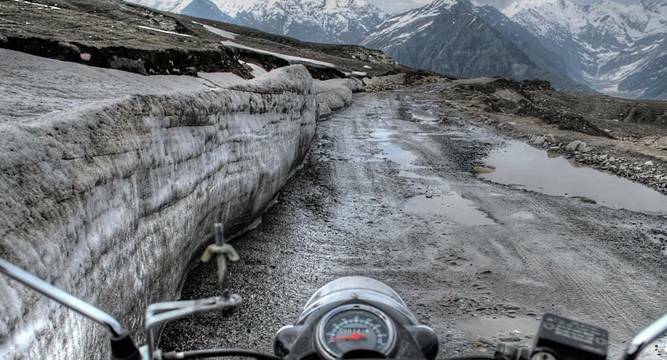 With the opening of the Pass, which normally opens by end May or early June, tribal valleys of Lahaul and Spiti would be reconnected by road with rest of the country.